What is cervical spondylomyelopathy (wobbler syndrome)? Cervical spondylomyelopathy, commonly referred to as wobbler syndrome, is a disease of the spine within the neck, resulting in poor transmission of nerve signals between the brain and the body. There can be various morphological problems of the bones of the neck in affected dogs. Most frequently, these bony abnormalities predispose to problems with the intervertebral discs, which degenerate and protrude against the spinal cord. Accompanying problems are instability of the spine in the neck region and reactive changes of the facet joints. These changes can result in further compression of the spinal cord. In addition, compression of the spinal cord may be affected by different positioning of the neck. 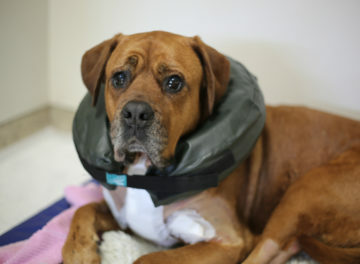 As a result, movement of the neck in affected dogs may result in repetitive trauma to the spinal cord. Lastly, these dogs may also be affected with spasms of the muscles of the neck. Wobbler syndrome is primarily genetic in cause, however dietary factors may be contributory. There is evidence in the literature to suggest that affected Doberman Pinschers have a reduced size of the neck spinal canal compared to normal dogs of the same breed, which may increase their risk of development of the disease. In addition, increased rotation of the ‘lower’ neck spine may explain why wobbler syndrome commonly affects that area. How do I know if my dog has wobbler syndrome? Affected dogs tend to be large or giant breeds. 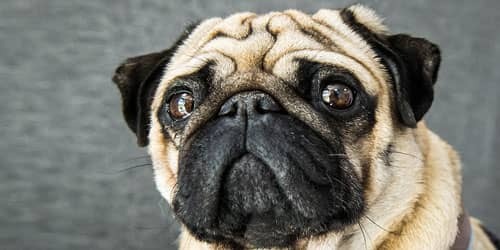 Dogs can show signs of wobbler syndrome throughout life. 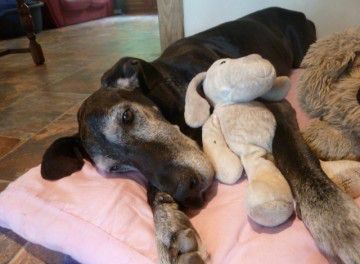 Giant breeds such as Great Danes are often affected when they are young adults, whereas Doberman Pinschers are often middle-aged when they first develop clinical signs. Clinical signs vary according to the severity and duration of spinal cord compression. The most common clinical sign of wobbler syndrome is a ‘wobbly’, uncoordinated gait, with a tendency to stumble and scuff their feet. Some dogs have neck pain, although many do not show any sign of discomfort. Signs can progress to complete paralysis of all four limbs. Various other diseases produce clinical signs similar to wobbler syndrome. These include spinal fractures, tumours of the spinal cord, other congenital abnormalities, clotting disorders, metabolic disease (such as hypothyroidism and Cushing’s syndrome), meningitis and even certain parasitic infections. Typical gait pattern that may be observed in a dog with cervical disc disease or cervical spondylomyelopathy (Wobblers Syndrome). Wobbler syndrome is caused by pathology associated with the intervertebral discs between the bones of the vertebral column or a malformation of the bones that make up the cervical vertebral column. The diagnosis is confirmed using an MRI scan to examine the spinal cord and the discs between the cervical vertebrae. A CT scan can then be used to examine the shape of the bones of vertebral column. In some dogs, adjunctive tests such as blood tests or spinal fluid collection may be indicated to help confirm the diagnosis. The best treatment for wobbler syndrome depends on the cause and severity of the problem, as well as the suspected duration of spinal cord compression. Your neurology clinician will advise you of the most suitable treatment for your dog on an individual basis. Exercise modification – absolute rest in the short-term and modified exercise in the long-term. A good analogy for the intervertebral disc is a jam doughnut. Disc disease can involve either extrusion (akin to the jam squeezing out) or protrusion (akin to a bulge in part of the spongy part of the doughnut). For dogs affected only by extrusion or protrusion of the intervertebral disc with no evidence of instability or compression of the nerve roots, surgical decompression by ventral slot may be appropriate. This involves removal of a window of bone within the casing of the spinal canal, allowing us to remove any bulging or ruptured intervertebral disc material that might be compressing the spinal cord. Over recent years, we have developed a very effective surgical treatment for dogs with wobbler syndrome where compression of the nerve roots is present and pathological instability is suspected. In addition, cervical vertebral distraction-fusion will address spinal cord compression associated with different positions of the neck (dynamic lesions) and prevent ongoing repetitive trauma to the spinal cord. This technique involves distraction (stretching) of the adjacent vertebrae by placing a custom-made titanium bolt as a spacer device called a FITS (Fitz intervertebral traction screw) and using a universal linkage system called the Fitz Universal Spinal System (FUSS). A cervical Fitzateur was also developed specifically for this technique. Bone marrow harvested from the upper arm bones (humeri) encourages permanent biological fusion of the vertebrae facilitated by the plates, rods and screws. Because the implants are custom made and 3D printed based on the patients CT scan, the implants fit like a glove and this considerably reduces the risk of one of the screws damaging the spinal cord. 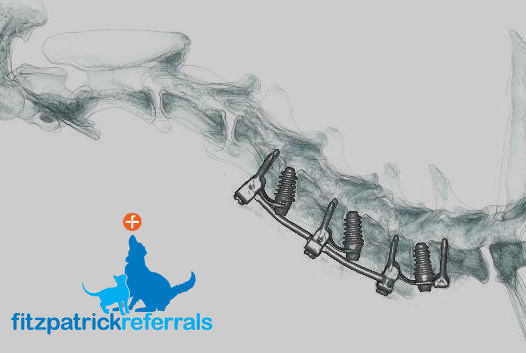 This unique spinal fusion system was designed and developed by Professor Noel Fitzpatrick and has been used successfully in a number of dogs with wobbler syndrome. This system is currently only available at Fitzpatrick Referrals and we offer more options for cervical vertebral distraction-fusion than anywhere else in the world. 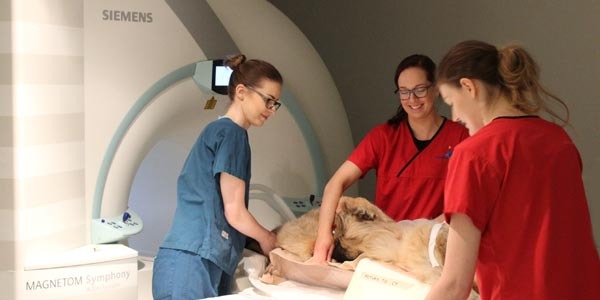 In a recently published study of dogs undergoing cervical vertebral distraction-fusion for wobbler syndrome at our orthopaedic hospital, bone fusion was documented in all dogs with long-term CT scan assessment. In addition, 94% of cases improved significantly six weeks postoperatively. Success rates for the surgery largely depend on the duration of the problem and the presenting clinical severity. Dogs able to walk at the time of presentation have a significantly better prognosis compared with paralysed dogs. High-quality postoperative care is particularly important to avoid complications and to allow full rehabilitation after surgery. 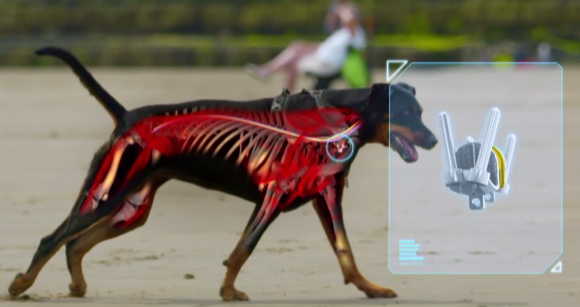 The new Spinal Fitzateaur – This unique spinal fusion system was designed and developed by Professor Noel Fitzpatrick and has been used successfully in a number of dogs with wobbler syndrome. Should your dog have surgery with us, they will be cared for by a multidisciplinary patient care team to include our ward nurse team, ward auxiliary team and chartered physiotherapists. The chartered physiotherapists will design a unique physiotherapy plan designed exclusively for the patient on an individual basis. Cervical disc replacement was developed due to the potential benefit of preserving motion of the neck in dogs affected with wobbler syndrome. The preservation of motion may prevent wobbler syndrome developing in adjacent locations in the dog’s neck. The Fitz-Disc is a revolutionary new spinal disc replacement developed by Professor Noel Fitzpatrick. 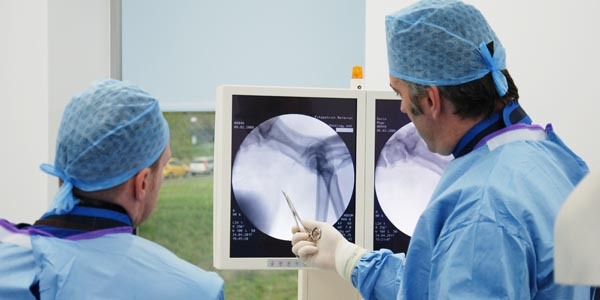 The Fitz-Disc is a revolutionary new spinal disc replacement developed by Professor Noel Fitzpatrick and has been used in a number of clinical cases to offer bespoke solutions to unique spinal issues. The implants are manufactured using CT scans and consist of titanium bone on-growth plates placed between the vertebrae with a dome of cobalt chromium gliding on a saucer-shaped disc of a special plastic called polyether ketone. The implant is anchored to the adjacent vertebrae using screws. Early clinical data has been encouraging. 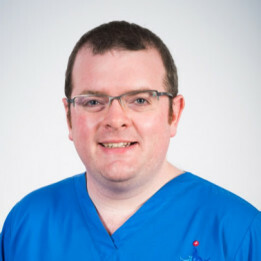 The Fitz-Disc is a revolutionary new spinal disc replacement developed by Professor Noel Fitzpatrick and has been used in a number of clinical cases to offer bespoke solutions to unique spinal issues. Why is rehabilitation so important for my dog? Rehabilitation is extremely important for your dog whether they have been treated surgically or are undergoing conservative management. Our inpatient chartered physiotherapists work very closely with your dog to help build strength, coordination and balance to name a few factors during their hospitalisation period, all of which are affected by wobbler syndrome. The aim of our chartered physiotherapists is to identify the mobility and function required to be able to participate in normal activities of daily living while ensuring your dog’s safety when he is up and about, and mobile. They will set short-term goals which might entail being able to rise safely and support their own body weight without losing balance, for example, to eat from their food bowl independently but will also set some long-term goals to work towards getting your dog back to normal mobility and exercise activity. 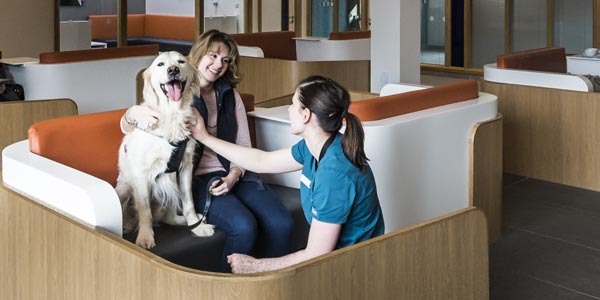 At Fitzpatrick Referrals, we will provide you with a support team to include mobility slings and devices as well as physiotherapy and hydrotherapy all of which can be provided on an outpatient basis through our rehabilitation service once your dog is discharged from the hospital. During your initial appointment, one of our chartered physiotherapists will assess your dog and design a programme specifically for rehabilitation of degenerative myelopathy and will also advise you of how often appointments are required.